At the beginning of 2013, hard on the heels of her mother’s death and a cancer diagnosis, Ellis Avery was stuck in a mobility scooter, crippled by an autoimmune condition called Reiter’s Syndrome. THE FAMILY TOOTH is a cancer story sandwiched inside a grief-and-food memoir, but more than that, it’s a story of hope and, ultimately, triumph: it tells the story of the medical and psychological sleuthing that enabled her to walk again by the end of the year. The thread that pulls this whole book together is food, both in terms of the dietary changes that helped Avery out of the scooter and onto her feet and in the way that she comes to recognize her mother’s appetite in her own. She begins the book unsypmathetic to her mother’s alcoholism, and, through learning both that she can control her pain through diet and that not eating what she wants (day after day, eleven hundred meals a year) might be the hardest thing she’s ever done, she discovers a deeper compassion for her mother than she’d previously imagined. Selected essays from THE FAMILY TOOTH are available serially from Kindle Singles or have been published individually online. The entire memoir-zine is available in paperback from McNally Jackson Books, and first editions may still be available from Seventeen Reasons on Etsy. Ellis Avery writes from the depths of loss and fear with emotional precision and visceral sensuality. But most of all, it’s her ability to attain a graceful, benevolent perspective on it all that makes these essays soar. Ellis Avery uses her novelist’s powers to tell the true story of her life in crisis. She faces her mother’s death and her own near-death with the artist’s intelligence and imagination—and humor. 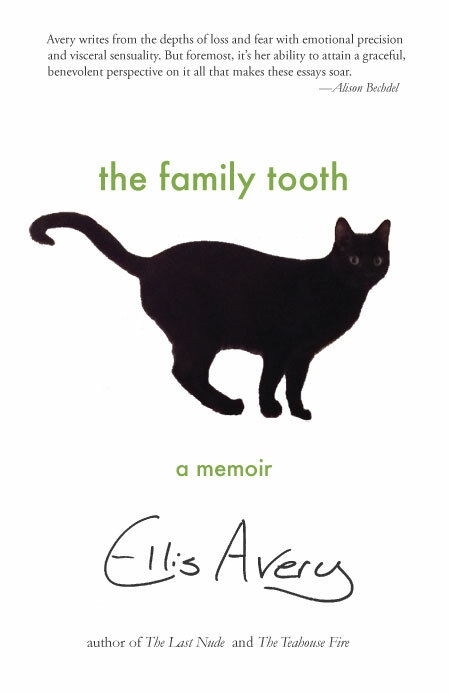 Reading THE FAMILY TOOTH brings tears of grief and laughter. THE FAMILY TOOTH is a gorgeous book. It makes poetic, profound, and clear-eyed use of the author’s devastating illnesses to shed light on her tempestuous relationship with a very difficult mother. It’s honest, detailed, compelling, and intimate without being self-aggrandizing or self-pitying. Avery has pulled off a triple-axel, triple-lutz literary combination with spectacular skill and grace. THE FAMILY TOOTH has received praise from Lambda Literary, dot429, and Kirkus (starred review).